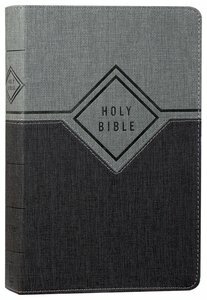 About "NIV Premium Gift Bible Black/Gray (Red Letter Edition)"
The NIV Premium Gift Bible is the perfect gift for graduations, confirmations, and other special events. With a durable cover, thick pages, and easy-to-read Comfort Print, this quality red letter edition is a gift that will be treasured for many years. Crafted with great precision and purpose, Comfort Print is a range of typefaces designed specifically to eliminate eyestrain, making Bible reading more comfortable and enjoyable!